Abante Colleagues Bid Farewell to the Island – Puerto Rican Style! 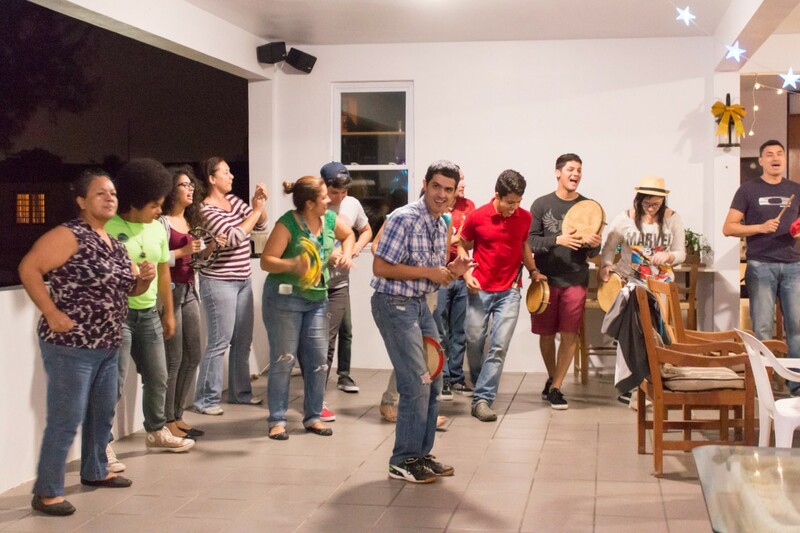 The team enjoyed a surprise send off Parranda from the Raudal de Adoracion brothers and sisters in Vega Baja. A Parranda/Matutino is a typical Puerto Rican custom during the Christmas holidays, where a group of people will gather with musical instruments and Christmas songs to surprise a family in the middle of the night. This is similar to Christmas Carols in America, but much more involved, as they will then come in the house, share some snacks, and sing more songs together, then the family, would join them as they continue to the next home. It is a joyful way to celebrate the holidays with family and friends, and a great ways to say good bye to the island and its wonderful people on the teams last evening in Puerto Rico.